Contract Forms. Easy-to-use. Preview Before You Buy. Customizable binding legal documents for use in almost any situation including General Agreements, Amendments and Assignments. The foundation of most agreements is a contract. A contract is merely an agreement by which two or more parties each promise to do something. The objective of a good contract is to clearly set out the terms of the agreement. Once the parties have reached an oral understanding of what their agreement should be, the terms of the deal should be put in writing. Contrary to what many attorneys may tell you, the written contract should be clearly written and easily understood by both parties to the agreement. It should be written in precise and unambiguous terms. Contract must have consideration. This means there has to be some form of mutual promise for a contract to be valid. The parties to the contract must be clearly identified. The terms of the contract also be clearly spelled out. Various notices used to fulfill contractual obligations. Templates to be used when revoking or terminating a contract. Agreements used to extend the time for performance under a contract, or to waive a specific contractual condition or a default. Agency Agreements An agreement between two parties by which one party agrees to act as agent for another party for certain specific purposes. Amendment to Contract Document used to amend a contract between various parties. Arbitration Agreements This Post-dispute Arbitration Agreement affirms the decision of both parties to a dispute to have it resolved by a neutral arbitrator. General Agreements & Contracts General generic agreements and contract forms for use in all states. Authorization (General Form) This Authorization form is for use when authorizing a specific action. This authorization can easily be tailored to fit your unique situation. Certificate (General Form) This Certificate (General Form) can be used when certifying the truth and facts regarding certain matters. This form can easily be tailored to fit your unique needs. Notice of Assignment of Contract Form giving notice that a contract has been assigned to another party. Notice of Breach of Contract For use in notifying a party that terms of a contract have been violated. It can also be used when a party has failed to perform a required duty under a contract. Mutual Rescission of Contract Agreement used by two parties to mutually cancel or rescind a contract. Termination Agreements Agreement for use by parties who wish to terminate an existing agreement. Waiver of Counsel This Waiver is used when one or more parties are advised to seek independent legal counsel (usually in contract or business situations). Waiver of Default Document given by a creditor to a debtor, waiving a default by the debtor if certain terms and conditions are agreed upon. Contracts are a written agreement between two or more parties, intended to not only outline the details of said agreement but to serve as evidence that an agreement between the parties does in fact exist. Contracts can be used to serve virtually any kind of lawful agreement, ranging from the purchase of property to royalty agreements. 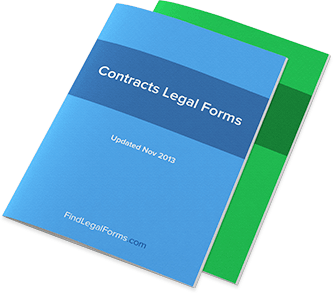 Though contracts are fundamental to doing business in today’s world, it’s also worth mentioning that they are just one type of legal form. Other legal forms – such as notices – might not require that two parties sign them in order for them to still be considered valid. What are contracts best used for? Like any legal tool, contracts are best used when they suit the situation. Contracts are unnecessary for certain arrangements and may be considered standard procedure for others. For example, a bank is not going to be willing to make a loan without a contract in place that guarantees the agreement’s security. But you don’t need your in-laws to sign a contract to stay in your home for a few days. Contracts are best used to protect interest, particularly financial interest. Any time a significant financial transaction or agreement is made, a contract is usually appropriate – even between family members and close friends. Contracts are also effective at reducing liability, as is the case for many types of release forms. When is a contract “ironclad” in the eyes of the law? Many people make the mistake of assuming that they are entitled to legal victories simply because of the presence of a contract. However, it’s important to recognize that a contract is still subject to a number of variables, including a state’s local laws, the context and the circumstances of the case, and even the contract’s validity. A written contract, for example, is not the only type of contract. An oral agreement can also constitute a contract in many cases if it can be proved that the oral agreement took place. One great advantage of a written contract is that it not only provides for the agreement to take place, but also doubles as proof that the agreement exists. All conditions being relatively ideal, a contract will always be enforceable under the law. However, it is a mistake to assume that the existence of a contract will always make an agreement ironclad; there may even be language in the contract itself that can nullify the agreement in certain circumstances. What circumstances would render a contract invalid? Age: When a minor signs a contract, it has to be approved by their legal guardian or else the contract can be considered invalid. Mental state and coercion: If a contract is signed when one of the parties is in a poor mental state (or are somehow coerced into signing the contract), it’s possible that the contract may be thrown out. This is why it is illegal to force someone to sign a contract at gunpoint, for example. Consideration: Even though two parties are essentially free to agree on just about anything, they cannot enter into an illegal agreement. This is why consideration – or some sort of value received – must exist for both parties. Otherwise, the contract might result in some sort of slavery or servitude which would not be legal in the U.S. Employment contracts and leases are prime examples of contracts with full consideration for each party involved. If any of the above conditions is not lawfully met, then a contract may be considered invalid. The result is that contracts must be two-sided, lawful agreements. After these conditions are met, two parties could technically agree to any type of deal they want. When is a contract “enforceable”? A contract’s enforceability differs from its validity; it’s entirely possible that a contract would be considered valid but not enforceable. For example, a contract signed in 2012 that did not begin its true terms until 2014 would essentially be “unenforceable” for the two intervening years simply as a matter of practicality. For that reason, much of the enforceability of a contract depends on the provisions and language of the contract itself. For example, a contract can be rendered somewhat moot if a provision is activated; for example, a contract is fully capable of invalidating itself. That’s why it’s important to know the full language and provisions contained in the contracts you sign; it may help you “get out of it” should the need arise. What if I’ve already signed a contract and need to modify the terms of the agreement with the other party? This is actually a common occurrence, and comes in the form of additional contracts: extensions, revisions, and amendments. These agreements will, of course, require the consent of both of the parties involved in the original contract; without this dual consent, there’s no point in seeking any further modifications. However, if both parties agree to the modifications, just about any part of the contract terms can be altered to suit the circumstances. It’s important that this be done correctly, of course, in order for the new contract to hold up against the old one. How do I know it’s okay to sign a contract? Provided that you’ve done all your research, that you trust the other party, and that you’ve sought all the legal advice you need, it all comes down to a matter of instinct. However, it’s important to consider that for many people, the signing of the contract is the moment an agreement becomes “official.” This depends upon your definition of “official.” You may have agreed to the terms of a contract months ahead of signing it; if so, then your work should be in ensuring that a contract validly and explicitly lays out all of the terms you had expected. Once you are confident that a contract contains exactly what you want it to contain, go ahead and sign.